Bobby Joe Clark, 75, of Cross Lanes, WV, died Monday, May 28, 2018, at CAMC - Memorial Hospital, Charleston, WV. Bobby Joe was born to the late Madge S. Clark and Edward P. Clark. In addition to his parents, he was preceded in death by his brothers, Edward Clark Jr. and Paul Clark; sisters, Betty M. Coleman, Joe Ann Isabell, Donna Smoot, Caroline Sue Clark and Ruth Clark. Bobby Joe was a 1962 graduate from Stonewall Jackson High School in Charleston. In 1965, he joined the U.S. Army. He completed basic and AIT training at Ft. Gordon, GA, and Air Borne school at Ft. Benning, GA. He was stationed at Fort Bragg, NC, with the 82nd Airborne Division. He was sent to Vietnam in 1966 and stationed with the 1st Cav. (ABN), 1/12 Cav., B. Co. He served in the areas of Pleiku, An Khe, Bong Song, Quin Yon and LZ Pink. Bobby Joe retired from Union Carbide as a construction worker. He had a great love for fishing with his family and longtime friends. Bobby Joe, Unc or Uncle Bobby was known as a straight-up person, the real deal, by his family and close friends. He said what he meant and meant what he said and never batted an eye. Bobby leaves many cherished memories to his beloved wife of 36 years, Denise Travis Clark, two daughters, Shayla Dawn Clark, Cynara Isli Clark, and son, Bobby Joe Clark Jr., all of Cross Lanes; sisters, Pauline Hairston of South Charleston, WV, and Barbara Bostic of Pikesville, MD; and aunt, Thelma Meeks of Warren, OH. 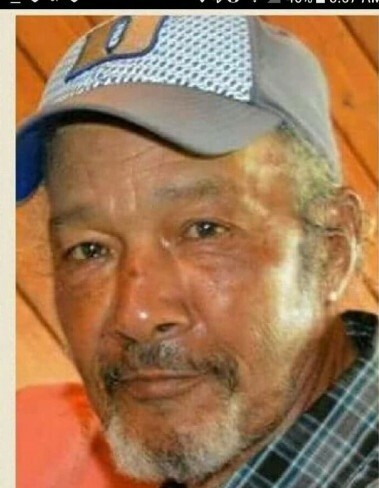 He had three grandchildren, Chaynse Jacari McDowell, David Allen Clark Jr. and Isli Shay McDowell; and a host of beloved nieces, nephews; other special relatives and friends.